'Opportunity' abundant in CPO, but there's a 'learning curve' for consumers - Cox Automotive Inc.
Cox Automotive reported that there was a 3% year-over-year increase in CPO sales during March. However, there was a 1.7% dip in overall used-car sales during the month, Cox Automotive estimated in the latest Manheim Used Vehicle Value Index report. 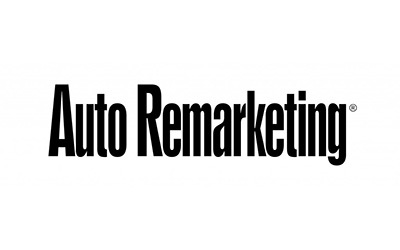 Auto Remarketing, April 9, 2019 — In this article. Senior Editor Joe Overby explores how certified pre-owned (CPO) vehicles represent an opportunity for the auto industry. While interest in CPO itself is up, it doesn’t appear familiarity has quite gotten there yet. As for the most recently completed month, Cox Automotive reported in Monday’s Auto Market Weekly Summary that there was a 3% year-over-year increase in CPO sales during March. There was a 1.7% dip in overall used-car sales during the month, Cox Automotive estimated in the latest Manheim Used Vehicle Value Index report. The seasonally adjusted annual rate for used-car sales was an estimated 39.0 million, compared to 39.4 million in February and 39.7 million in March 2018. “Three-year-old vehicles had four straight weeks of price gains in March, which offset the price declines we saw in January and February,” Cox Automotive chief Jonathan Smoke said in a news release accompanying the index. “Used-vehicle prices are starting to experience the annual spring bounce, which is a positive indicator that demand is growing in the market.